As we wait for the Xiaomi Mi 6 to become official at some point this month, someone in possession of a prototype decided to put it through the paces of GFXBench for Android. Thankfully, that has resulted in a pretty complete list of specs of the device becoming public in the benchmark's database. 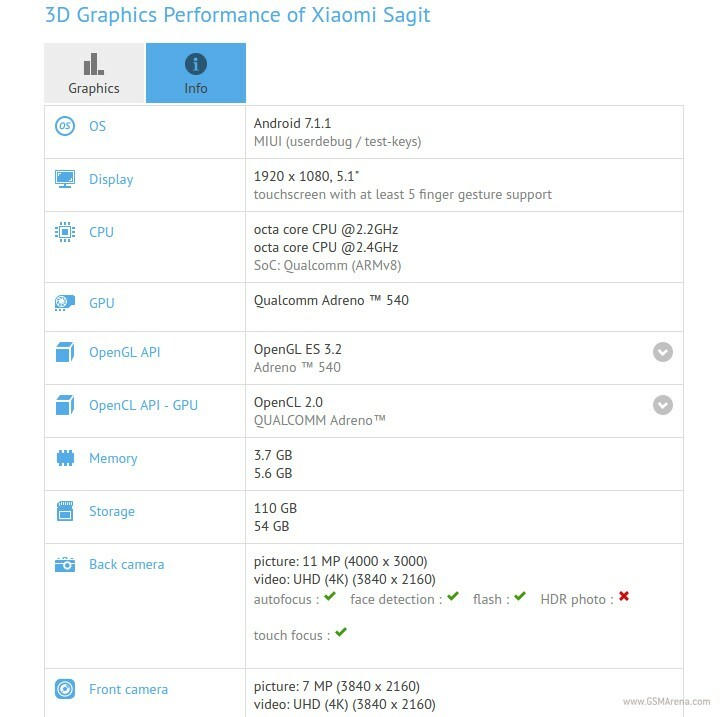 GFXBench refers to it as "Xiaomi Sagit" but the chipset it has clearly reveals that this is indeed the Mi 6 we're talking about. The handset thus features a 5.1-inch 1080p touchscreen, a 12 MP rear camera with 4K video recording, and an 8 MP selfie shooter that's also capable of snapping 4K videos. The phone is unsurprisingly powered by Qualcomm's Snapdragon 835 chipset, aided by either 4 or 6GB of RAM - depending on which particular model you pick when the Mi 6 goes on sale. Similarly, internal storage is either 64GB or 128GB. The handset runs Android 7.1.1 Nougat underneath the MIUI skin. 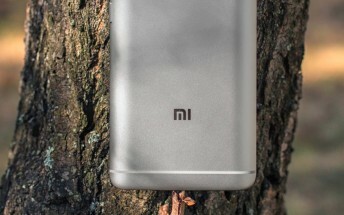 The Mi 6 is shaping up to be only the third smartphone to be announced as sporting the Snapdragon 835 chipset. That would be quite a feat for Xiaomi, since it would mean it's managed to one-up the likes of LG and HTC, for example. Still, it remains to be seen when it will actually become available, since the Sony Xperia XZ Premium was the first S835 device to be outed, and yet the Samsung Galaxy S8 will arrive before it. The Mi 6 is expected to start at CNY 1,999 ($289 or €272, N109820, approximately), and go up from there - all the way to CNY 2,699 ($391 or €367, N148580) for the version with 6GB of RAM and 128GB of storage.